Hi, everyone...I'm alive! 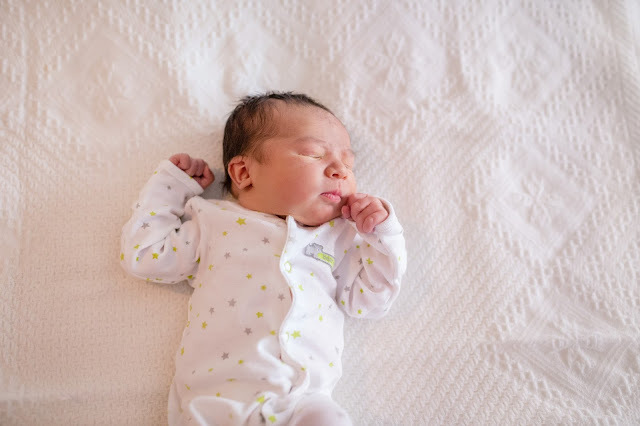 In case you were wondering, I had my baby Zachary Brian on December 10th...I hope you don't mind if this is a post about him. 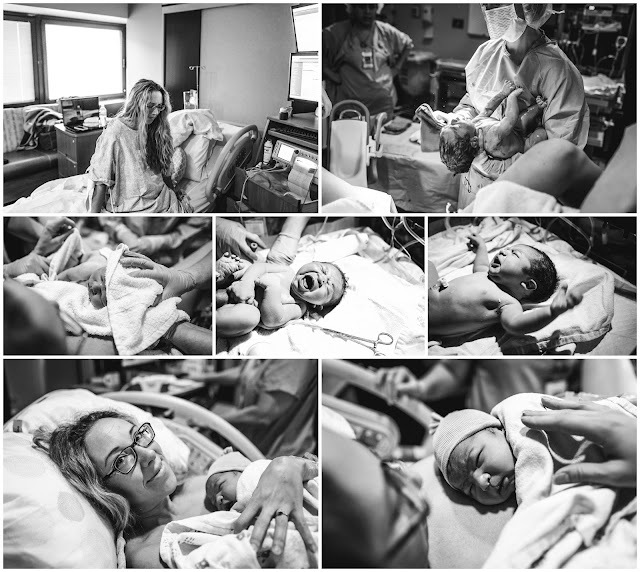 I never shared my birth story with Ashford, and that is because it was a terrible induction and I didn't want to talk about it...but surprisingly, I chose to be induced again this time at 39w+2 because I was having a lot of pain issues and the baby was big. My doctor assured me it would go much faster and I wouldn't be pushing for 3 hours like last time. She was right! We went in at 6:30am and started Pitocin, contractions were easy until they broke my water at 9, then things got real and I labored on my own until 11am at which point I begged for the epidural. I was fully dilated and started practice pushes around 1pm, but I couldn't feel the muscles I needed to push, so I frantically told them TURN THE DAMN EPI OFF because I didn't want a c section. It took 35 minutes to start to feel again, and then I got the treat of FEELING AGAIN just in time to push him out. I know it was still better than it would've been without the partial epidural, but it was awful and I was blubbering like an idiot for the entire 22 minutes I pushed. Then he had the cord wrapped around his neck so tight the doctor made me stop for a few minutes while his entire head was out so she could cut it. It was absolutely miserable! But Zach was born at 2:02pm weighing 8 pounds 7 oz, and 21 inches long. I was floored at his size, I knew he was bigger than Ashford but not that big! I was lucky enough to have Shaun take photos of the experience, and he did such a great job! I treasure these and definitely recommend you have someone do this for you...although I'm sure the staff thought I was nuts looking at my camera to change the settings for Shaun while in active labor. Hey, you do what is important to you! 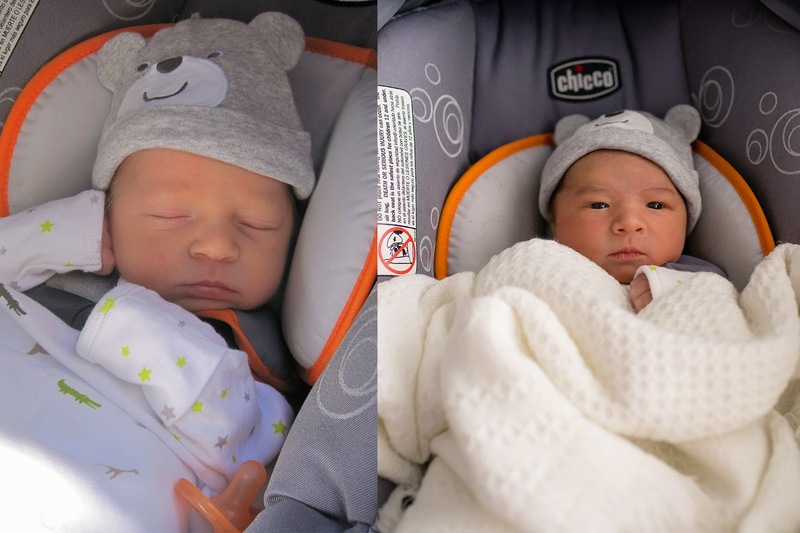 This is the newborn outfit Ashford went home from the hospital in...it fit Zach for a few days. My absolute favorite thing to do now is comparison photos, mostly because DUH comparisons are awesome, but also because Zach is huge and dark and the opposite of my fair, tiny Ashford. I realize this perspective does not demonstrate that, but it's too cute. So here we are a month later, and this baby is a whole different ball game from my first. He MUST be held, he sleeps on me and hardly ever sleeps not on me, he nurses every hour and I can't get a single thing done. 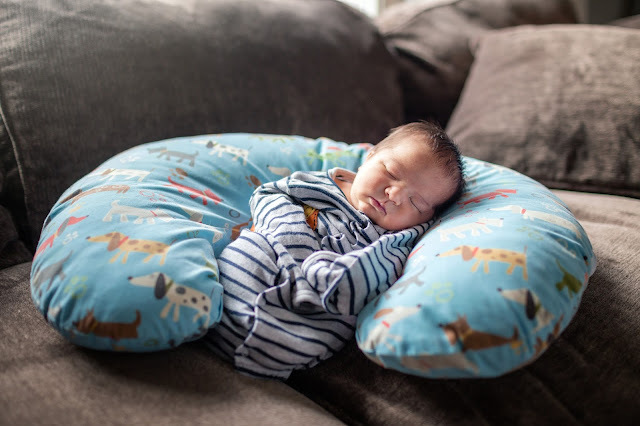 Sometimes I'm able to pick him up with the boppy and set him down while still asleep, and that gets me about 30 minutes to do something. But usually as soon as the pillow hits the couch, this happens. We are all having a really hard time with this transition, having two kids is exactly as hard as I thought it would be. Ashford wants me to play with him, but I'm stuck on the couch with the baby most of the day. Usually, I'm listening to a chorus of crying from both kids because I can't help them at the same time. 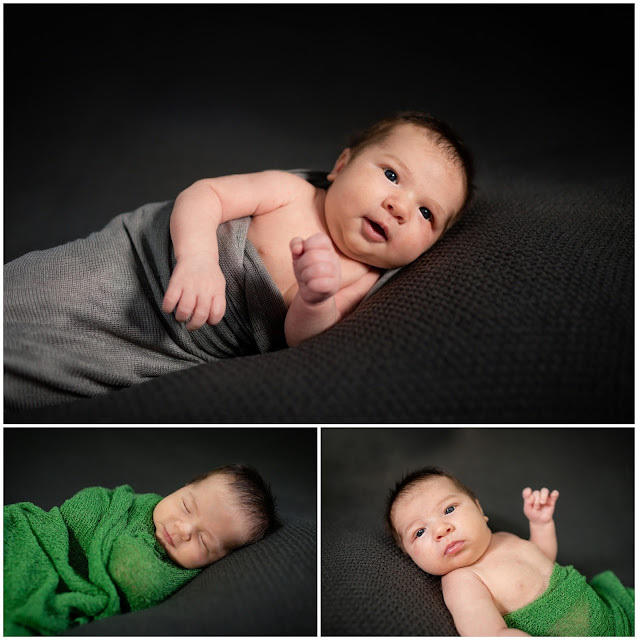 I also stressed myself out even more by trying to take Zach's newborn photos myself. OMG, what a disaster. 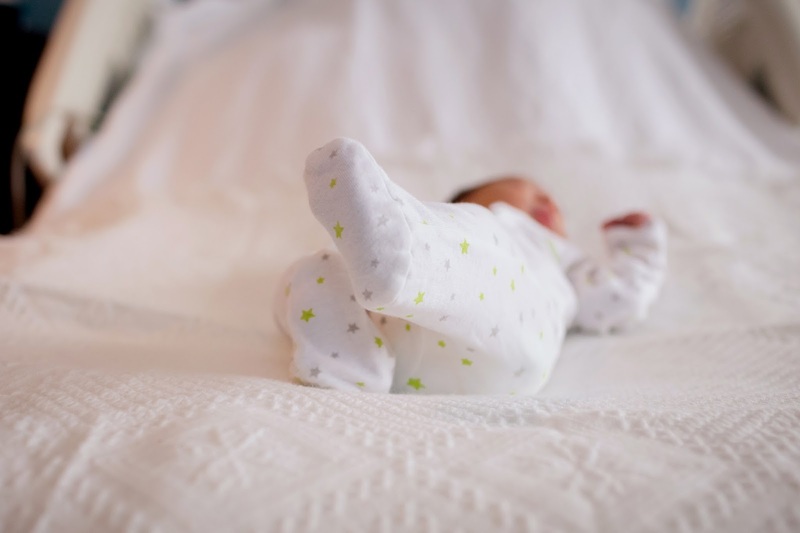 I was recovering slowly and had many postpartum discomforts. 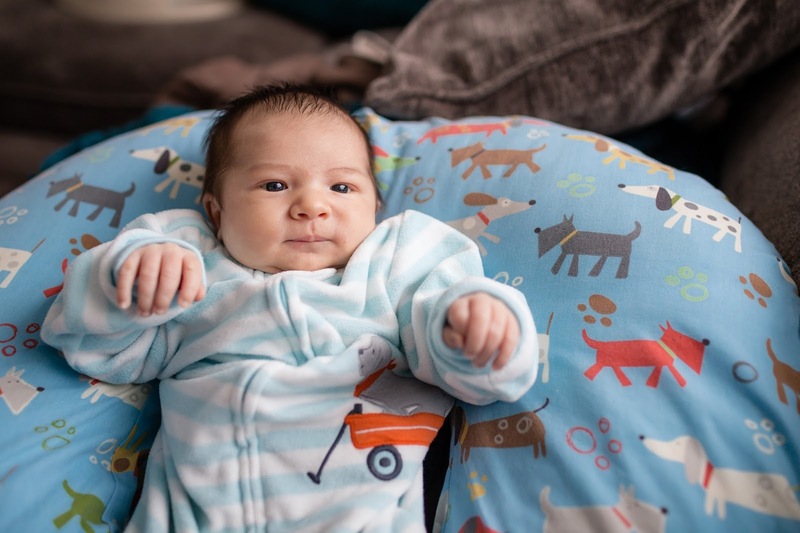 It was cloudy and dreary for many days after he was born, then when I finally had good light, this kid would not sleep. No matter what I did. I ended up with some very amateurish photos that I am not proud of, but what are you gonna do. The Christmas ones were done when he was 8 days old, and I'm pretty happy with them all things considered. He at least closed his eyes a while, but wouldn't tolerate being naked no matter how hot I made it! These are the only decent 'wrap' photos I got. He wouldn't sleep and wouldn't allow me to pose him at all. I think he smelled me and just wanted to eat the whole time. 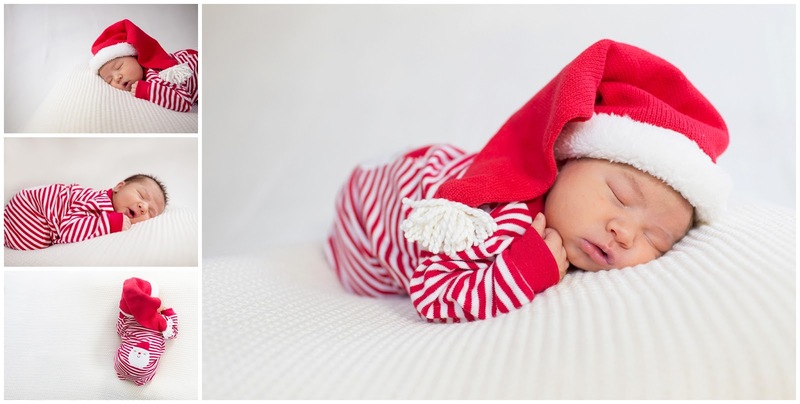 He was also three weeks old at this point, well past the best age to take newborn photos. And another comparison that shows not only how different my kids are, but my photography skills, too. I wish I could share a 'final' photo of the nursery, but we still have a couple things to do in there. For now, we are just trying to soak up the good parts of the baby stage - like the snuggability! Congratulations! He's beautiful. That second baby is a curveball! But it gets easier. And you forget most of it bc you're so tired. :) soak in all that baby goodness! You know it will get better. Just relax ( it is winter and you can be inside) and enjoy the kids. No matter how tired you are....blink...and they will be 21. Enjoy every minute...every single one!!! Beautiful, beautiful boys! Be so very proud! Love that dark hair! Congrats! I love all of these photos. How fabulous to have all of these memories preserved. Ahhhh, congratulations!!! Going from 1 kid to 2 is SO HARD!! I'm sending you good vibes, and know that it (eventually) does get better. BTW, he's such a cutie!! Doesn't it just blow your mind that two kids with the same parents can be so COMPLETELY different in every way? Mine are like that, from looks to height to personalities. It makes parenting very interesting because what works for one, doesn't work for the other. I promise it will get better. That transition from one to two is rough. But it'll get easier. Try to find an hour or two every week that's just for you and leave the house. Believe me, it'll do wonders for you. Hang in there and enjoy snuggling that sweet baby boy! Congratulations! No two are the same and I guess they shouldn't be. It has been so cold that it is just as well you are hanging on the couch. Make sure to take care of yourself (we always put us last) and it will be Spring soon. How beautiful! So happy for you guys on your newest addition! I'm pregnant with twins and cannot wait to see their faces. Take this time to spend as much time with him as possible! Adorable! Congrats!! Try wearing the little guy. A ring sling would be my preference but there are a ton of options. Srsly. Babywearing will change your life. Congratulations! Zach is a cutie and so dark haired! Enjoy all those baby snuggles. Thanks, everyone! Zach is 6 weeks now and I finally decided to cut out dairy to see if that is causing his fussiness. I sure hope it doesn't work, because I can't go for months without my cereal, pizza and ice cream. Cry. Good thing he is so cute and smells so good! 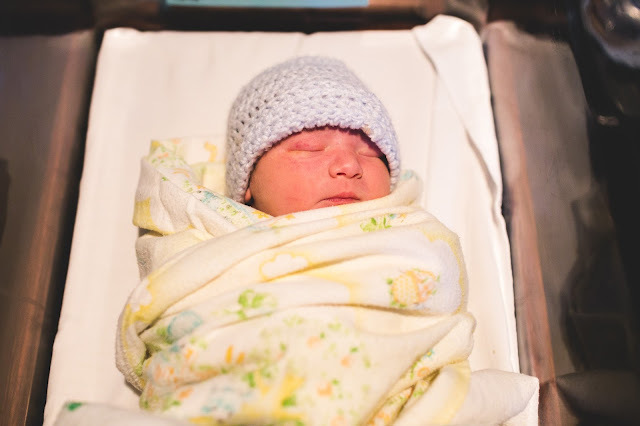 Congratulations and welcome to the world, Zachary! Congrats! He's adorable. I can't believe how big he is! I had mine, Delilah Rose, October 31st and she's still only like 11.7 pounds!